We present a 16-year-old boy with autoimmune liver disease and longstanding portal hypertension in whom a CT arteriogram demonstrated a large aneurysm arising from the distal, extra-parenchymal portion of the splenic artery. Because of its location adjacent to multiple venous collaterals, the aneurysm was indistinguishable from splenic varices on initial imaging with Doppler sonography and on portal venous-phase CT. 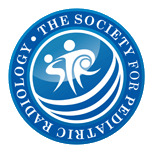 There is an increased risk of rupture of splenic artery aneurysms in the post-liver transplant period, with high associated mortality, and therefore diagnosis of splenic artery aneurysm prior to liver transplantation is clinically important. It is quite possible that the diagnosis of splenic artery aneurysm in this case would have been missed in the absence of dedicated arterial-phase imaging. 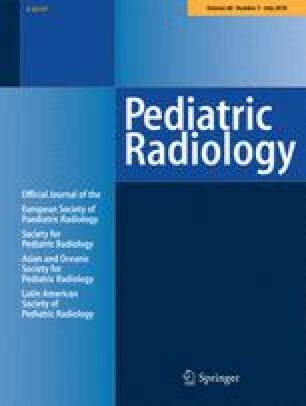 As radiologists strive to reduce radiation exposure in children, this case highlights a potential diagnostic pitfall of both Doppler sonography and venous or single-acquisition arterial/venous-phase CT angiogram in children with venous collaterals and an undiagnosed splenic artery aneurysm.